Too many times a contractor creates a Work in Progress – (WIP) report because he feels he is obligated to do so, as the bonding agent or the bank requires it. However, an accurate and timely WIP report should be seen as one of the essential tools for running a business. A WIP report is a key component of enabling you to look into the future through forecasted projections. So why are forecasted projections important? They enable you to be proactive with job data as opposed to reactive. For Example, armed with the information that I have a job that is 50% completed at a cost of 75% of the budget, I still have time to make adjustments in an effort to reduce some of my potential cost overrun. How is an accurate and timely WIP report accomplished? A successful company starts with clear communication between their accounting and project managers. The role of the accountant is to question potential inconsistencies in the report, whereas the project manager needs real-time, accurate data from the field. With that information, the company can make smarter decisions in deploying their resources in order to maximizing their profits. Ultimately if a company is not making money, everything else becomes irrelevant. 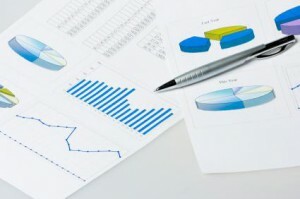 The importance of WIP reports in analyzing your business cannot be emphasized enough. Too often I have observed business owners utilizing a CPA as a bookkeeper, entering numbers and producing reports, instead of acting upon the numbers. Conversely, companies that gather solid WIP reports add value by maximizing their CPA’s expertise as a business consultant as they strive to grow their bottom-line profits. WIP reports not only enable you to manage your jobs accurately, they are a key component in creating an accurate financial statement, which is required when analyzing of your company’s stability and growth. I am often asked the question: “How often should I run a WIP Report”? Some people only run a WIP report when they need too, others will run the report monthly or even weekly. The frequency of your WIP reporting will be based on the specific parameters of your unique business. The bottom-line: the sooner you receive that information the sooner you will have visibility of the projected problems. Only then will you have an opportunity to fix the problems. Another question I am often asked is: “How do I go about calculating a WIP report”? There are a number of methods one can use to calculate WIP. The three most common used methods are Units Completed, Percent Completed, and Cost to Finish. In my years of experience working with project managers in construction companies I have learned that units completed in conjunction with the percent of budget spent, is the most accurate method of costing. For example, I have 100 standard light fixtures to install; I have installed 50 of them, therefore the task is 50% completed. Everything sounds good so far. However, if I have spent 80% of the budget on the installation of those 50 light fixtures then, “Houston, we have a problem”. This clearly demonstrates why analyzing only the estimated costs as opposed to the actual costs can prevent a company from seeing that a particular job is losing money. The second method utilized to calculate WIP is the percent completed; it is used when I don’t have a measurable unit. For example, perhaps I am doing the electrical work in a facility. As the PM, I walk the project with my superintendent so that I can give an estimate of the completion. A “units completed” would be more accurate, but the “my educated guess says we are 50% done” method is still going to be better than saying “I don’t know”. One of the worst assumptions that can be made is estimating the completion of a job based on how much money I have spent thus far. Another very good method to calculate your WIP is Cost to Finish. I ask my project manager: “What do I need to finish this task”? I already know how much we have spent to date. But to finish the task I am going to need 10 men for the next two weeks and I have $5,000 in miscellaneous materials that have yet to be ordered. With this information I can then calculate a cost to finish. The equation would be my cost to date plus my cost to finish which then becomes my revised estimate. Any of these three methods work and all of them are better than just comparing the estimated cost to the actual cost. If you look at a $100,000 budgeted job and you can see that $50,000 has been spent thus far, the absolute worst assumption you can make would be that 50% of the job is completed. The odds are against you that you will spend exactly $100,000 on that specific job. The reality of contractors completing a job for exactly within budget, just never happens. The question that then follows is: “Just how detailed do I need to be in my WIP report”? I will certainly want a companywide overview WIP report, but I will also want a job-by-job WIP report, and within the job I want to see the details of the specified activities or tasks. This in turn leads to the question: “How detailed do I need to be on tracking activities or tasks?” (the costs of which will feed into the WIP report). Some companies track one task, others up to 100, and yet others track more than 100 tasks to complete a job. Optimally you need as many details as possible. You may have 100 task codes, but if it’s not probable that your field staff will ever break down the costs to the 100 activities, there is no point in having 100 activities. The result will be some activities that are way over budget and others that are way under budget because no-one is allocating their costs properly. There is certainly a fine line between “ I would like to have a lot of detail” and “what is a realistic outcome when I gather the data in the field?”. Contractors often start out as a smaller business with the owner walking around knowing everything about every job and its progress. He has his finger on the pulse of the business. However, the larger the company grows, the more visibility tends to become obscured. No one wants to do twice as much work to make the same amount of money. When a process is put in place, everyone knows the jobs that make money and the ones that lose money. Real time, accurate job costing is similar to keeping score in a game. If the PM knows the score then he/she can make better decisions about the next play.